Långt ihopsnurrat surt band med supergod jordgubbs smak. Long extra sour candy belt with great strawberry flavor. 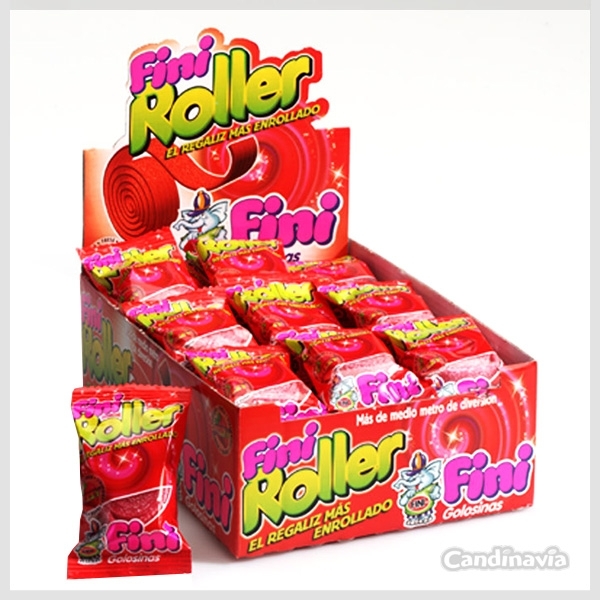 The displaybox contains 40 Strawberry Rollers individually wrapped and rolled up.